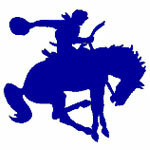 2010-11 – WBLSports.com | The Official Site of the Western Buckeye League for wbl news, wbl scores and wbl standings. Elida’s Mitch Chavez signed to play tennis at the University of Northwestern Ohio. Elida’s Mitch Chavez signed a letter-of-intent to play tennis at NAIA University of Northwestern Ohio. By admin|2013-07-06T20:15:33-04:00June 4th, 2011|2010-11, College Signings/Verbals, Elida Bulldogs, News, Tennis Boys, WBL|Comments Off on Elida’s Mitch Chavez signed to play tennis at the University of Northwestern Ohio. Elida’s Emma Fernandez signed to play tennis at the University of Northwestern Ohio. Elida’s Emma Fernandez signed a letter-of-intent to play tennis at NAIA University of Northwestern Ohio. By admin|2011-06-04T15:34:40-04:00June 4th, 2011|2010-11, College Signings/Verbals, Elida Bulldogs, News, Tennis Girls, WBL|Comments Off on Elida’s Emma Fernandez signed to play tennis at the University of Northwestern Ohio. Celina’s Nate Bihn will continue his education and play basketball for Bluffton University. Celina’s Nate Bihn will continue his education and play basketball for NCAA Division III Bluffton University in Bluffton, Ohio. 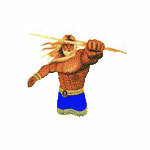 By admin|2011-05-25T23:39:31-04:00May 25th, 2011|2010-11, Basketball Boys, Celina Bulldogs, College Signings/Verbals, News, WBL|Comments Off on Celina’s Nate Bihn will continue his education and play basketball for Bluffton University. St. Marys’ grad Trevor Kill committed to play baseball at Southeast Missouri State University. St. Marys’ grad Trevor Kill who graduated in 2009 committed to play baseball at NCAA Division I Southeast Missouri State University in Cape Girardeau, Missouri. Kill played 2 years at Butler Community College. By admin|2011-05-26T23:06:54-04:00May 25th, 2011|2010-11, Baseball, College Signings/Verbals, News, St. Marys Roughriders, WBL|Comments Off on St. Marys’ grad Trevor Kill committed to play baseball at Southeast Missouri State University. Bath’s Liz Brock verbals to play volleyball at the University of Delaware. 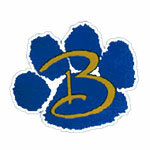 Bath’s Liz Brock has verbally committed to play volleyball at NCAA Division I University of Delaware in Newark, Delaware. By admin|2011-05-02T09:48:08-04:00May 2nd, 2011|2010-11, Bath Wildcats, College Signings/Verbals, News, Volleyball, WBL|Comments Off on Bath’s Liz Brock verbals to play volleyball at the University of Delaware. Ottawa-Glandorf’s Cody Gerdeman will continue his education and play football at the College of Mount St. Joseph. Ottawa-Glandorf’s Cody Gerdeman will continue his education and play football at NCAA Division III College of Mount St. Joseph in Cincinnati, Ohio. By admin|2011-04-29T23:36:27-04:00April 29th, 2011|2010-11, College Signings/Verbals, Football, News, Ottawa-Glandorf Titans, WBL|Comments Off on Ottawa-Glandorf’s Cody Gerdeman will continue his education and play football at the College of Mount St. Joseph. Defiance’s Megan Turner will continue her education and play softball for Notre Dame College. Defiance’s Megan Turner will continue her education and play softball for NAIA Notre Dame College in South Euclid, Ohio. She will be studying biology. By admin|2011-04-28T21:35:21-04:00April 28th, 2011|2010-11, College Signings/Verbals, Defiance Bulldogs, News, Softball, WBL|Comments Off on Defiance’s Megan Turner will continue her education and play softball for Notre Dame College. Ottawa-Glandorf’s Matt Peck will continue his education and football career at Wittenberg University. Ottawa-Glandorf’s Matt Peck will continue his education and football career at NCAA Division III Wittenberg University in Springfield, Ohio. By admin|2011-04-27T19:22:25-04:00April 27th, 2011|2010-11, College Signings/Verbals, Football, News, Ottawa-Glandorf Titans, WBL|Comments Off on Ottawa-Glandorf’s Matt Peck will continue his education and football career at Wittenberg University. Van Wert’s Blake Doidge signed to play golf for The University of Findlay. Van Wert’s Blake Doidge signed a National Letter-of-Intent to play golf for NCAA Division II University of Findlay in Findlay, Ohio. 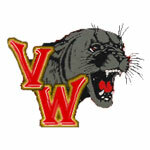 By admin|2011-04-21T23:19:20-04:00April 21st, 2011|2010-11, College Signings/Verbals, Golf Boys, News, Van Wert Cougars, WBL|Comments Off on Van Wert’s Blake Doidge signed to play golf for The University of Findlay. Elida’s Ross Harmon will continue his education and football career at Wittenburg University. Elida’s Ross Harmon will continue his education and football career at NCAA Division III Wittenburg University in Springfield, Ohio. 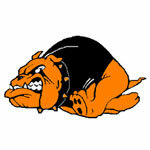 By admin|2011-04-19T23:21:57-04:00April 19th, 2011|2010-11, College Signings/Verbals, Elida Bulldogs, Football, News, WBL|Comments Off on Elida’s Ross Harmon will continue his education and football career at Wittenburg University. Shawnee’s Sam Rutter will sign to play tennis at the University of Northwestern Ohio. Shawnee’s Sam Rutter will sign to play tennis at NCAA Division II University of Northwestern Ohio in Lima, Ohio. By admin|2011-04-12T00:03:16-04:00April 12th, 2011|2010-11, College Signings/Verbals, News, Shawnee Indians, Tennis Boys, WBL|Comments Off on Shawnee’s Sam Rutter will sign to play tennis at the University of Northwestern Ohio. Shawnee’s Hunter Bosch will continue his education and football career at Bluffton University. Shawnee’s Hunter Bosch will continue his education and football career at NCAA Division III Bluffton University in Bluffton, Ohio. By admin|2011-04-11T23:58:52-04:00April 11th, 2011|2010-11, College Signings/Verbals, Football, News, Shawnee Indians, WBL|Comments Off on Shawnee’s Hunter Bosch will continue his education and football career at Bluffton University. Wapakoneta’s Amy Snider signed to play soccer at Huntington University. Wapakoneta’s Amy Snider signed to play soccer at NAIA Huntington University in Huntington, Indiana. By admin|2011-04-02T16:40:29-04:00April 2nd, 2011|2010-11, College Signings/Verbals, News, Soccer Girls, Wapakoneta Redskins, WBL|Comments Off on Wapakoneta’s Amy Snider signed to play soccer at Huntington University. St. Marys’ Derek Roop committed to play basketball and baseball for the University of Northwestern Ohio. St. Marys’ Derek Roop has committed to play basketball and baseball for NAIA University of Northwestern Ohio in Lima, Ohio. By admin|2011-04-02T16:00:08-04:00April 2nd, 2011|2010-11, Baseball, Basketball Boys, College Signings/Verbals, News, St. Marys Roughriders, WBL|Comments Off on St. Marys’ Derek Roop committed to play basketball and baseball for the University of Northwestern Ohio. Shawnee’s Samantha Dervisevic committed to play basketball at the University of Northwestern Ohio. Shawnee’s Samantha Dervisevic committed to play basketball at NAIA University of Northwestern Ohio in Lima, Ohio. By admin|2011-04-02T16:02:37-04:00April 2nd, 2011|2010-11, Basketball Girls, College Signings/Verbals, News, Shawnee Indians, WBL|Comments Off on Shawnee’s Samantha Dervisevic committed to play basketball at the University of Northwestern Ohio. Wapakoneta’s Emily Whetstone signed to play softball at Ashford University. Wapakoneta’s Emily Whetstone signed to play softball at NAIA Ashford University in Clinton, Iowa. By admin|2011-04-02T16:36:34-04:00April 2nd, 2011|2010-11, College Signings/Verbals, News, Softball, Wapakoneta Redskins, WBL|Comments Off on Wapakoneta’s Emily Whetstone signed to play softball at Ashford University. Celina’s Brian Donovan signed to play football at Taylor University. Celina’s Brian Donovan signed a letter-of-intent to play football at NAIA Taylor University in Upland, Indiana. 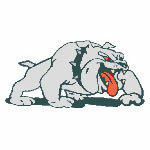 By admin|2011-04-02T16:03:08-04:00March 30th, 2011|2010-11, Celina Bulldogs, College Signings/Verbals, Football, News, WBL|Comments Off on Celina’s Brian Donovan signed to play football at Taylor University. Wapakoneta’s Mickie Grothause signed to play football at the University of Findlay. Wapakoneta’s Mickie Grothause signed a letter-of-intent to play football at NCAA Division II University of Findlay. 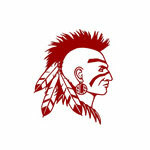 By admin|2011-02-26T18:51:40-04:00February 23rd, 2011|2010-11, College Signings/Verbals, Football, News, Wapakoneta Redskins, WBL|Comments Off on Wapakoneta’s Mickie Grothause signed to play football at the University of Findlay. Wapakoneta’s Cale Tabler will sign to play football for the University of Saint Francis. Wapakoneta’s Cale Tabler will sign to play football for NAIA University of Saint Francis in Fort Wayne, Indiana. 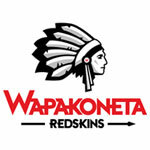 By admin|2011-02-05T15:49:31-04:00February 1st, 2011|2010-11, College Signings/Verbals, Football, News, Wapakoneta Redskins, WBL|Comments Off on Wapakoneta’s Cale Tabler will sign to play football for the University of Saint Francis. Defiance’s Eric Stapleton will sign to play baseball for Lincoln Trail Junior College. Defiance’s Eric Stapleton will sign to play baseball for NJCAA Division I Lincoln Trail Junior College in Robinson, Illinois. 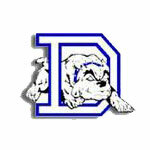 By admin|2011-02-01T21:55:52-04:00January 31st, 2011|2010-11, Baseball, College Signings/Verbals, Defiance Bulldogs, News, WBL|Comments Off on Defiance’s Eric Stapleton will sign to play baseball for Lincoln Trail Junior College.